Every horse owner understands the importance of correctly fitting tack. 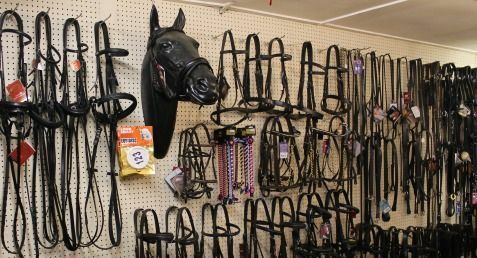 With our expert knowledge and wide range of bridles, bits and other tack items we have something to match every requirement and suit every budget. 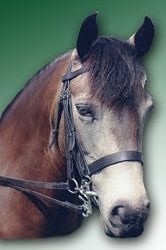 From lunge gear to exercise boots, head collars to girths from brands including; Weatherbeeta, Thorowgood, WoofWear & Hy. Our staff and their equine friends are always keen to road test the latest rugs and are, therefore, able to offer sound advice on Horseware and Weatherbeeta rugs which we stock due to their reputation for durability and fit. We hold a good range from turnout rugs to travel rugs, fly rugs to stable rugs. Our motto "Keeping you animals, fit, fed and healthy", is represented by the fantastic range of equine supplements we offer. With over 200 years of equine experience between us we are always pleased to discuss any problems from laminitis to sweet itch, excitability to laziness! Brands include NAF, Dodson & Horrell, Equine America, Equs Health and Global Herbs. Keeping up with the latest equine research and developments, the supplements that we offer are backed with knowledge and advice available directly from each supplier.